Looking at the bigger picture is always powerful. When I did this for my work supporting transformation across government, I found it not only made me view my role and purpose in a new light, but it also empowered others to do the same. I created a diagram that illustrates the bigger picture for my work, and I invite you to do the same. I’ve just finished the BBC documentary series, Dynasties (I know, late to the party, but thank goodness for iPlayer). Other than being invited to observe a different animal dynasty each week, this programme brings to light the bigger picture of the animal kingdom. With the impressive wide-angle shots and intimate close ups, Dynasties demonstrates similarities between humans and animals - with every aspect of our lives involving different focal lengths. Day to day, it’s easy to get lost in the details by focusing on small tasks without enough thought towards the destination. The bigger picture can be something we only think about when we need to, and it is not always something that constantly motivates us as it probably should. 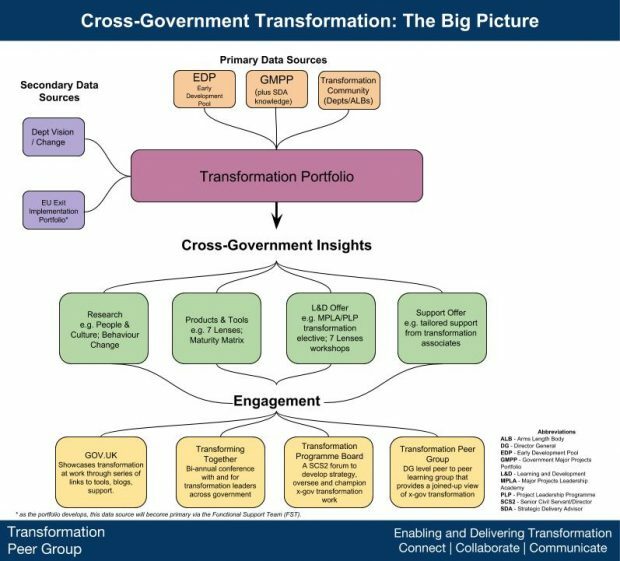 I recently started working as an analyst in the cross-government transformation team, and I was unsure how my work fitted into several smaller pictures, let alone the bigger picture across government. So I began thinking about the importance of the bigger picture - specifically in relation to my role at work. As a natural storyteller, I sought to find the structures of my work first - asking myself who the key characters are (stakeholders and dependencies), the plot line (strategy), potential challenges (blockers), and what the moral of the story was (lessons learned). For me, the best way to start this thinking was with A3 paper and an offering from Crayola. It took me longer than I expected, but the value of this depends on this early thought. Bottom line, it is both satisfying and comforting to understand the purpose behind everything that you work on and how it fits in and complements the work of others. I started by defining the parameters of my work and seeking a clearer definition of my role and interactions with key stakeholders, the Transformation Peer Group and Transformation Programme Board. Engaging these two groups is important - they represent multiple departments and provide an invaluable sounding board to new and old ideas alike. Presenting my thoughts on this in both a visually appealing and methodical way was important to me, reflective of the different working styles of the two central functions my team represents, the Infrastructure and Projects Authority (IPA) and Government Digital Service (GDS). I created this diagram through the highly underrated and completely free Google Drawings. The diagram sets out to unpack my role as the team analyst. It provides a simple picture of how my work on the transformation portfolio links in and influences other activities, such as informing new research projects and ensuring we direct the right support to the right programmes. 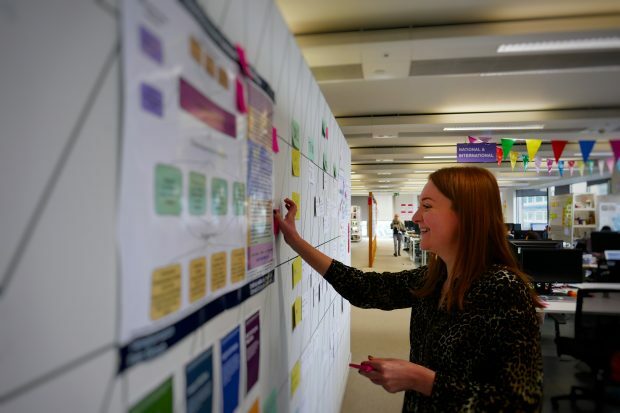 With the addition of colour, interest from others in my immediate team began to arise - a simple ‘what are you working on there?’ turned into me sharing my draft diagram and inviting their thoughts. Sharing this diagram across the IPA and GDS was interesting in itself and confirmed my clichéd suspicions - IPA wanting more detail, and GDS more colour. The thinking was well received and colleagues across the two functions welcomed this both constructive and collaborative review. Knowledge sharing is no longer something I fear and the take home point is that it’s more useful than not sharing at all. Going back to my love of storytelling, every story should have a moral whether explicitly stated or subtly suggested. The moral of this story is that there is huge value and satisfaction in thinking about and appreciating the bigger picture of your work. This applies both at an individual and team level. A clear big picture breaks down what on the surface appears complex into a manageable and logical process, specific to you and your team. All good stories have endings - whether open or closed. To end this one, I challenge you take 5 minutes to think deeply about a single aspect of your life - an issue that has been nagging you, a project you’re struggling with, or perhaps an achievement which you’re proud of. Take time to jot down and map out your thoughts about the bigger picture, and see what comes out of this. For more information, email the transformation team and we'll be happy to help. 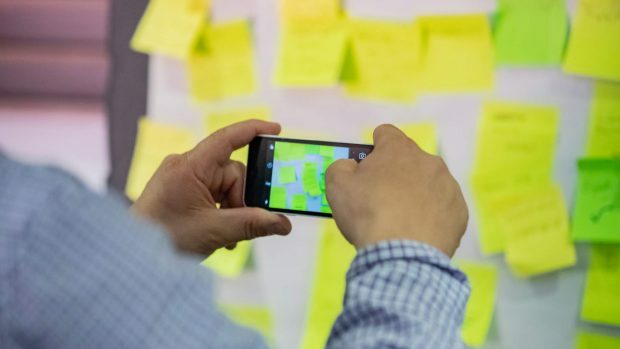 For more information on transformation, check out the guidance and tools on GOV.UK, and sign up for blog updates to be kept in the loop when we publish new material. Thought provoking blog and I am now going to take 5 minutes out and think deeply about a single aspect of my life which is nagging me and jot my thoughts down, instead of putting it off. Congrats on the blog Georgie! Excellent blog , great work well done Georgie Baker ! Georgie, this is a great blog and keeping sight of the big picture is definitely what motivates me. It also helps put some of the day to day frustrations in perspective! Great piece of work, Georgie. It takes great skill - and courage - to step back from the day-to-day detail and have a go at mapping out the big picture. You've done an excellent job here and we'll build on it in the future!